The Rangers' recent offensive surge has obviously been a product of Adrian Beltre getting hot and Prince Fielder being an RBI machine despite a low batting average. But, it's the lighter bats that have really made things click lately, especially in the past two games when the Rangers have scored 15 runs on 26 hits in two wins over the Mariners. On Monday night, the bottom third was 7-for-12 with four runs scored and an RBI. On Tuesday night, the same group was 6-for-11 with a walk, four runs scored and two RBIs. 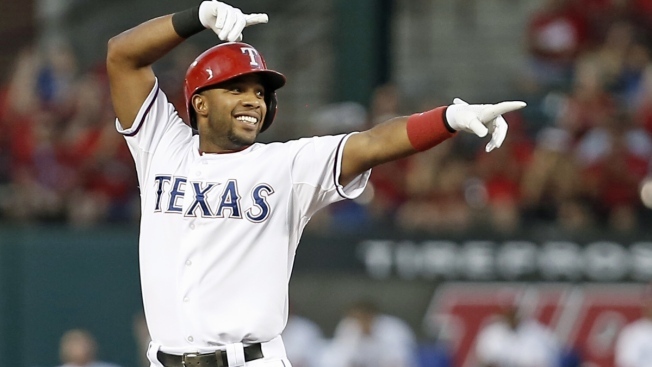 Elvis Andrus, who went 3-for-4 on Tuesday, has been a big part of that in the seventh spot as he's continued his career-long destruction of Safeco Park. Ryan Rua followed him with a 2-for-4 day and 9-hole hitter Bryan Holaday even added a hit to the fun. On Monday night, it was Andrus, Rua and catcher Brett Nicholas, who collected two hits in his big-league debut. The hot hitting probably won't continue for long for those guys, but it just goes to show how much that can help an offense when there are no breaks in the lineup.